The high altar in 'occhiadino', 'bardiglio' and Carrara marble, with its polychrome wooden "Madonna and Child" statue from the XIV century. 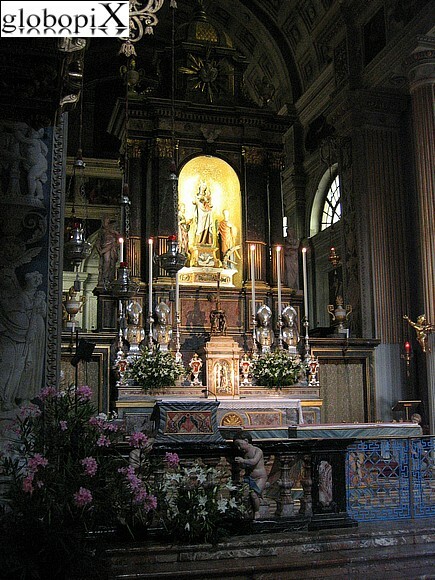 The Madonna's altar piece is the work of De Magistris (1794). Statue of Pious IX inside the Duomo's courtyard.